Several years ago I ran into these stereo views in a shop near Owego, NY; which is a small village near the Pennsylvania border south of the Finger Lakes region in western New York State. The shop owner said he found the views near Canandaigua, New York. Although quite good as photographs, for some reason I felt that these photographs had not been taken by a professional photographer. 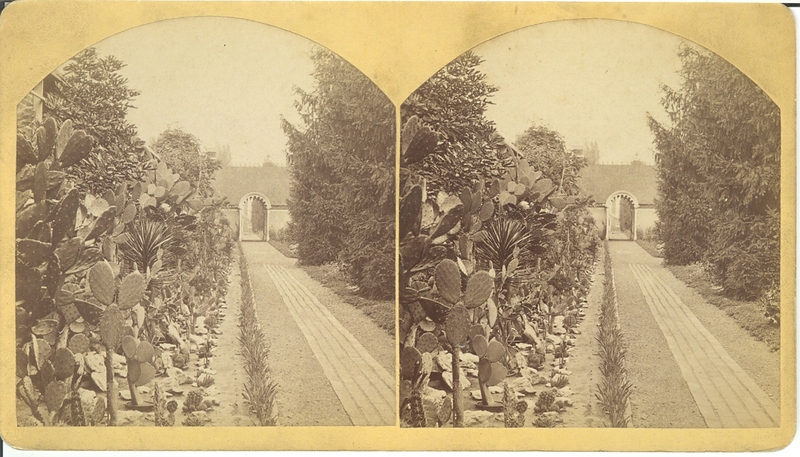 These stereos reminded me, for no very clear reason, of other stereos made by members of a group known as the Amateur Photographic Exchange Club, who, from late 1861 to about 1863, made stereographs and exchanged them by mail with others in the small organization. 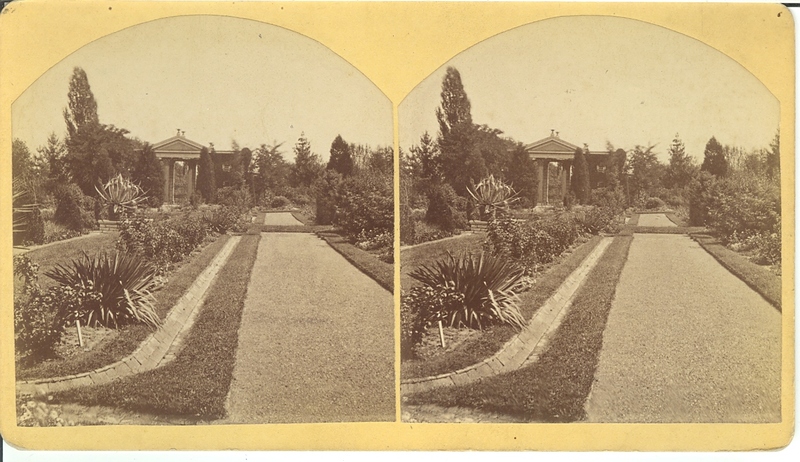 I have tentatively identified the accompanying stereographs to be by Francis T. Fassitt, a member of the Amateur Photographic Exchange Club in the 1860s. I would appreciate anyone who can either confirm or disprove whether this attribution is correct. Originally, the Amateur Photographic Exchange Club consisted of no more than seventeen individuals mostly from Pennsylvania and New York. The group probably never got much bigger. 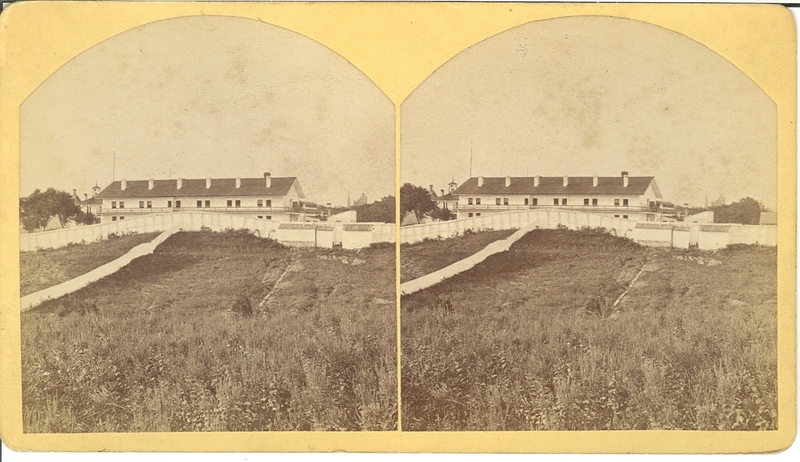 Membership was purposefully kept small because each member was required to send every other member at least one stereoscopic photographic print several times a year. Another reason the organization was small was because there were not many amateur photographers in the United States in the 1860s. Before the 1880s the photographic processes and apparatus then available required a hard practical knowledge of chemistry and even some physics, plus a reasonable amount of simple physical endurance to wrestle the clumsy and awkward equipment around. In a world of the six day work week and the twelve hour work day there were few people with the leisure time, money, interest and ability to take up photography as a hobby. Almost all of the amateur photographers during that time were professional men – professors, lawyers, bankers, manufacturers of goods associated with photography. One such individual was Frederick F. Thompson (1836-1899), who was a broker on Wall Street during the 1850s and 1860s. 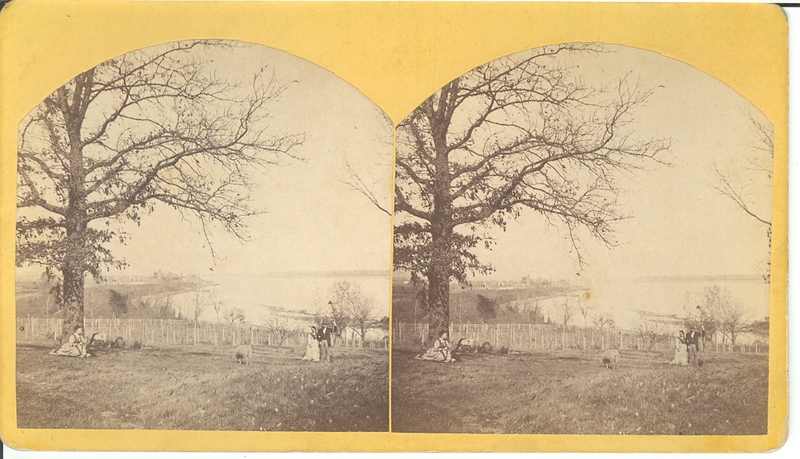 This profession left him with leisure time and money for his interest in photography, which he practiced as an amateur from the early 1860s to the 1880s. In the 1860s Thompson was the Secretary of the American Photographical Society, an organization of the leading professional and amateur photographers of New York, which was the only group in the United States that might be equated to the Photographic Society in London with an institutional focus toward scientific experiment and educational practice. Always active within the small photographic community of that time, Thompson served as a judge for the important Anthony Prize Pitcher awards. He was later a founding and key member in the American Amateur Exchange Club during its brief existence in the 1860s, and he wrote many descriptive articles for the photographic journals, sometimes signed “The Straggling Amateur.” In a literature dominated by endless repetition of now obsolete chemical formulas mixed with rhetorical exposition to “improve the craft” Thompson’s articles, which were often humorous and occasionally wise, provide a breath of fresh air. 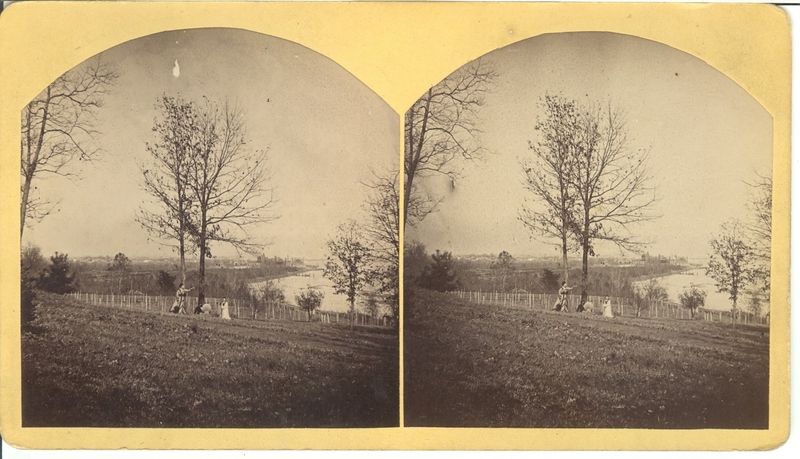 He practiced a “dry” process –as opposed to the dominant “wet collodion” technique, believing that this allowed him greater flexibility in his landscapes. 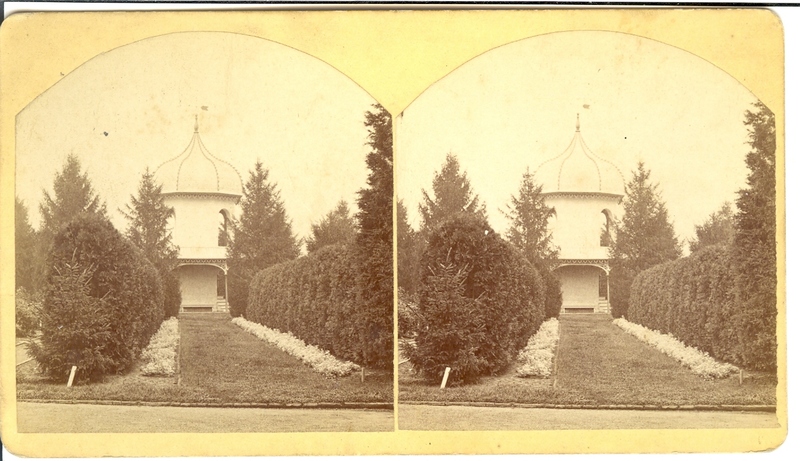 Thompson served as a captain in the Union Army for several years during the Civil War, and he is otherwise best known, at least locally, as the owner and builder of the Sonnenberg Gardens in Canandaigua, New York – which was a private mansion that has now become a not-for-profit institution and a tourist attraction. As early as 1855 a group of amateur photographers in Philadelphia had suggested that an exchange club, patterned after one already functioning in England, be formed; and a brief, apparently unsuccessful attempt to organize something had been tried. But it wasn’t until the end of 1861, when Henry T. Anthony, (A partner of the huge photographic supply business “E. & H. T. Anthony & Co.” who was also the publisher of the American Journal of Photography.) along with Frederick Ferris Thompson and Charles Wager Hull announced the formation of the Amateur Photographic Exchange Club in the AJP. Members included Henry T. Anthony (New York, New York), Samuel Fisher Corlies (Philadelphia, Pennsylvania), Professor Edwin Emerson (Troy University, Troy, New York), Francis T. Fassitt (Philadelphia, Pennsylvania), Constant Guillou (Philadelphia, Pennsylvania), Charles Francis Himes (Troy, New York), Charles Wager Hull (New York, New York), James Hunter (Philadelphia, Pennsylvania), Dr. William Mead (Newark, New Jersey), Titian Ramsay Peale (U.S. Patent Office, Washington, D.C.), Professor O. N. Rood, Lewis Morris Rutherford (New York, New York), Coleman Sellers (Philadelphia, Pennsylvania), Robert Shriver (Cumberland, Maryland), Frederic Ferris Thompson (New York, New York), John Towler, Joseph Miller Wilson and others. 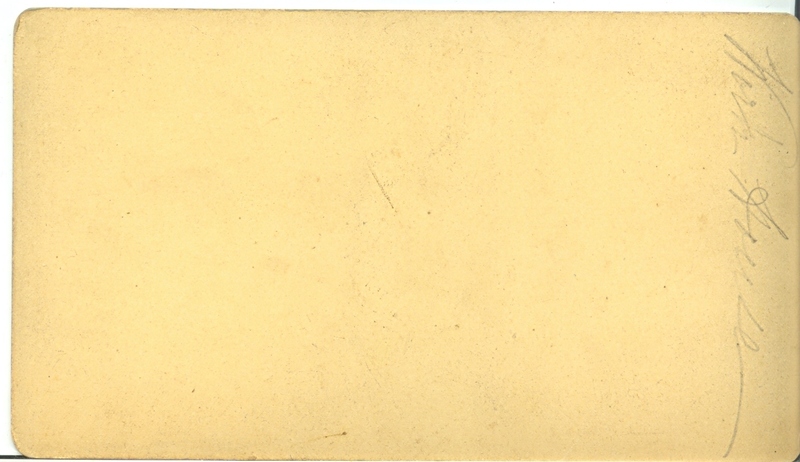 Frederick F. Thompson served as club secretary, printing out seven issues of an informal, single sheet, “newsletter” on a hand printing press that he owned. The wide dispersal of the members meant that they never really all met together as a group, although several of the members apparently visited each other or took photographic “excursions” together. 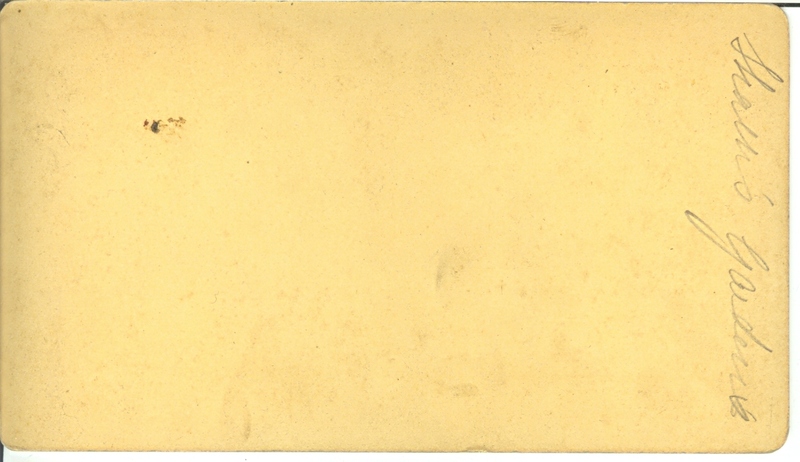 The club functioned until 1863, but the increased presence of the war led several of its members, including Anthony and Thompson, to join the Union Army; which seemed to spell the end of this informal group. And the fact that the Photographic Society of Philadelphia was organized in 1862, (The first such amateur organization of its kind in the USA, which had, among its original members, Francis T. Fassitt, Frederic Graff, and Coleman Sellers.) may have drawn energy away from the Exchange Club as well. 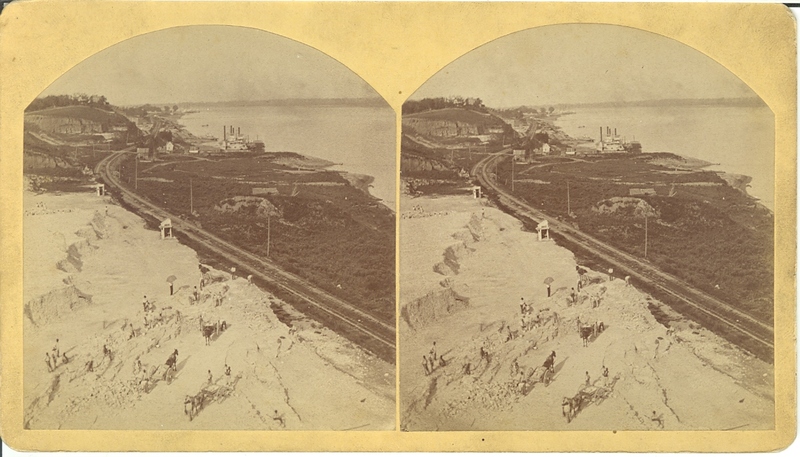 In my teaching slide collection I have a slide from an original print showing a different view of the landscape cut by the railroad described as the “Work House Sp.” in these stereos. Unfortunately, this slide is only identified as being taken from a photograph by someone in the Amateur Photographic Exchange Club, without naming the actual maker — and I no longer know the exact source of the slide. 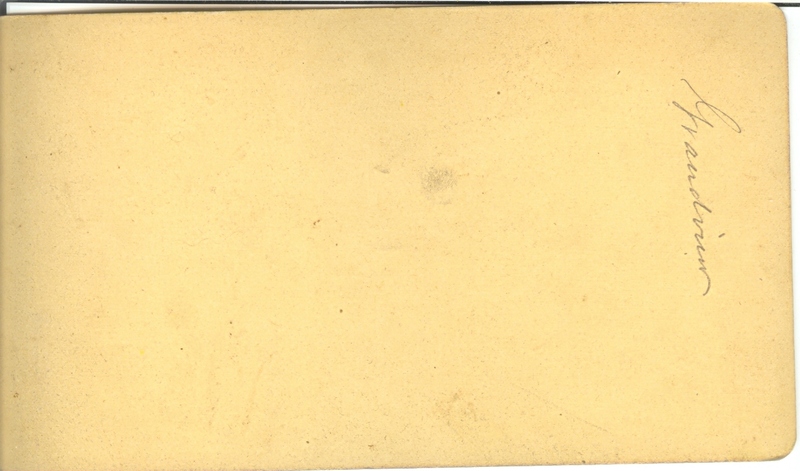 Checking these images I found several by Francis T. Fassitt, a member from Philadelphia, and although there is no exact match to the specific images on my stereos I was pleased to find that the handwriting on the verso of those stereo cards seems to be a very close match to the handwriting on the verso of my stereo cards. There doesn’t seem to be a great deal known about Francis T. Fassitt. He died in 1905 and willed $5000 — which was a lot of money in those days– to the Philadelphia Children’s Hospital in the name of his daughter – so he must have been wealthy. He lived in Philadelphia most of his life, was married to Annie R. Evans, daughter of Reese Evans, Esq., of Birdsboro, Berks county, Pa. in 1845. (“Marriages.” Lancaster Examiner & Herald (Wed., Feb. 5, 1845): 3.) He seems to have been civic minded and held positions on various scientific and cultural organizations throughout his lifetime. He was elected a “Lay Deputy” for the annual conventions of the Protestant Episcopal Church from 1850 through 1852, elected a member of the Academy of Natural Sciences of Philadelphia in 1854, and was re-elected to the Board of Directors of the Zoological Society of Philadelphia, a three year term, continuously from at least 1881 through 1901, where it is known that he made glass lantern slides of zoological specimens and exhibited them at lectures given to that organization. An ardent amateur photographer most of his life, he was a founding member of the Amateur Photographic Exchange Club throughout its short span and a founding member of the Photographic Society of Philadelphia in 1862. He remained active in the Photographic Society of Philadelphia at least through the 1880s. He published at least two articles on photography in the early 1860s: “A Few Words in favor of an Old Friend – the Malt Process.” American Journal of Photography and the Allied Arts & Sciences. n.s. 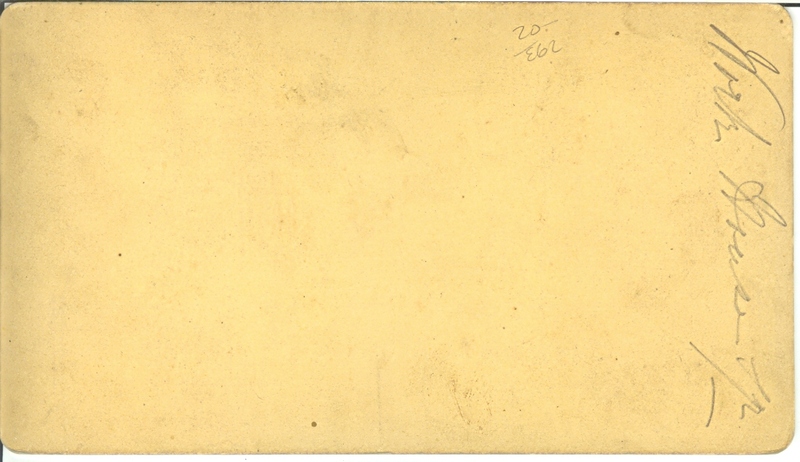 6:1 (July 1, 1863): 12-16. 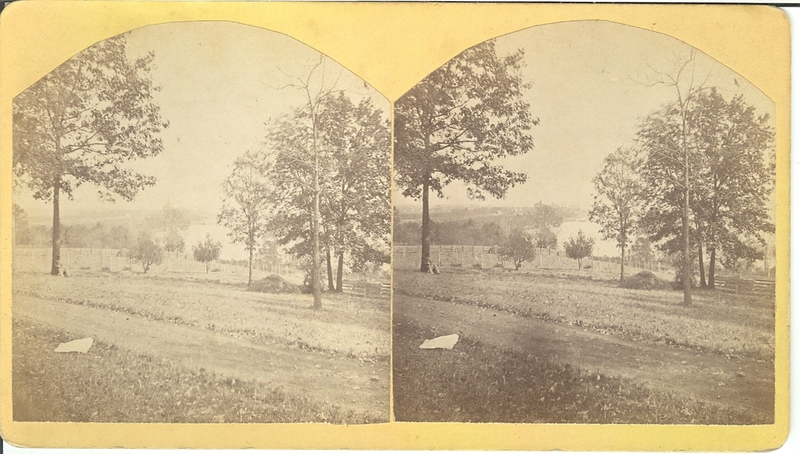 (This is a description of a photographic excursion to northern Pennsylvania to take landscape views, quite possibly when he was still participating in the Exchange Club.) 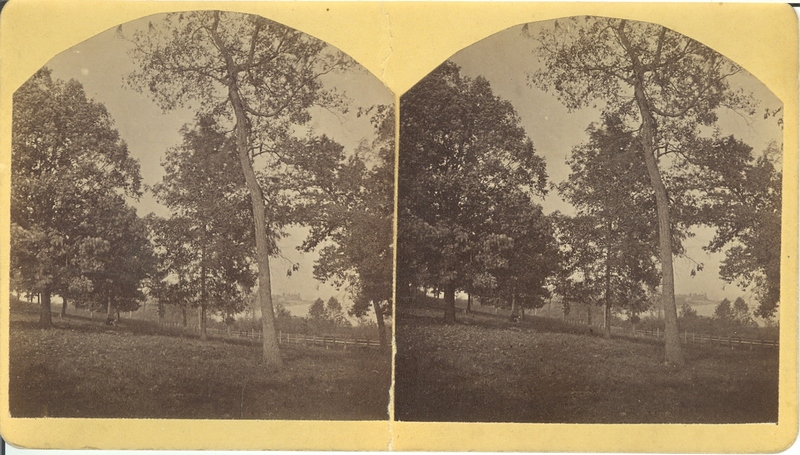 and “How to make Stereoscopic Positives on Glass in the Camera.” Philadelphia Photographer 1:6 (June 1864): 81.